Catwoman just got busted! The master thief, who has been perpetrator, partner and paramour to Batman, is now the newest resin bust in DST’s line of busts based on Batman: The Animated Series. With her feline companion perched on her shoulder, this approximately 15 cm bust of Selina Kyle features detailed paint applications and a purr-fectly formed sculpt atop an art-deco base. The bust comes packaged in a full-color box with a certificate of authenticity. Limited to 3,000 pieces. Sculpted by Steve Varner Studios! 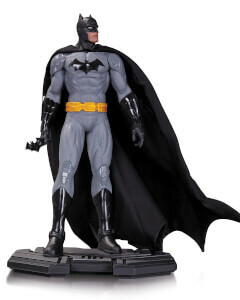 A wonderful statue bust that looks great on display alongside other Diamond Select Batman busts. The cat on the shoulder is what really stands out from this bust and it is why I rate this is my favourite out of the ones I own. Product came promptly and well packaged, no signs of damage to the box and the statue bust was securely wrapped. Great customer experience and I won't hesitate to buy from Zavvi again. 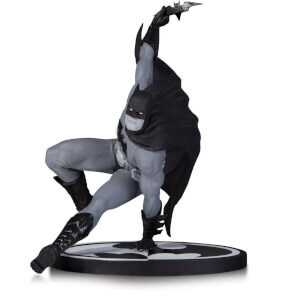 A beautifully crafted figure at an amazing price. Recommended for any batman fan.